Ellen Pyne (or Pine) was born in the tiny Devon village of Blackawton in 1845. She was the fifth of eight children born to William Pyne and Sarah Tibble Watts. In the 1851 Census Ellen is listed as a six-year old ‘scholar’, basically meaning she attended the local school. Ten years later in the 1861 Census, Ellen, then 16 years old, was a servant for George Ferris (a Sawyer), his wife Elizabeth and their three children (a son aged 3 and twin daughters aged 4 months) who lived in Clarence Street, Dartmouth in Devon. George Ferris was originally from Blackawton too so no doubt was friend of Ellen and her family. A few years later, on 1st October 1867, Ellen married William Nicholls at the parish church of St Michael in Blackawton. They were both around 22 years old. It should be noted that neither the bride nor groom could read or write, hence marking the marriage certificate with a cross and not their signatures. The following year, on 1 Apr 1869 their first child, a daughter they named Elizabeth Ann, was born in Blackawton. William and Ellen’s first son, William, was born on 4th February 1870 in East Allington in South Devon. The 1871 Census shows the Nicholls family (William and Ellen both 25, Elizabeth, aged 3, and Will, aged 1) as living at 1 Earth Pit Avenue in South Shoebury (Shoeburyness), Essex. William Snr had joined the Royal Artillery as a Gunner during the previous few months – Shoeburyness was a Gunnery school, training ground and experimental station where new guns were evaluated and tested. In the Spring of 1872, William and Ellen had another son whom they named George. At the time William was stationed at Garrison Point Fort at Sheerness on the Isle of Sheppey off the North Kent coast and George was baptised there on 5 May 1872. In September of 1872 William Snr returned to South Devon to obtain written verification of his daughter Elizabeth’s birth and baptism from the vicar of Blackawton Church, Rev David Chater. This is interesting, not only because the vicar provided a hand-written copy of the register entry, but also because the register entry itself was entered in retrospect, being recorded amongst the baptisms for 1872 and not 1868, the year Elizabeth was baptised. 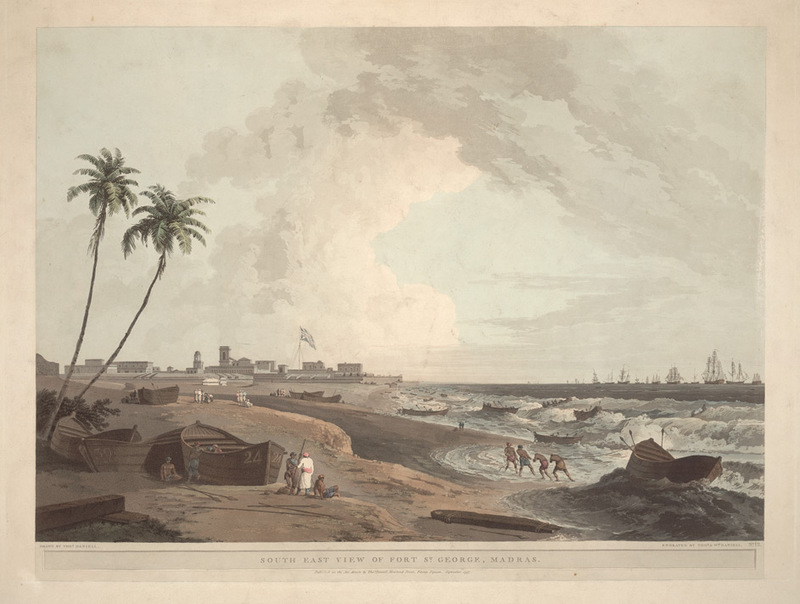 Some time over the following 18 months William was posted to Fort St George, Madras in India and it was there on 13th April 1874 that Ellen gave birth to their third child, Charles. He was baptised on 7th May 1874 at St Thomas Church, St Thomas Mount, Madras but sadly died on 9th March 1875, aged just 11 months. 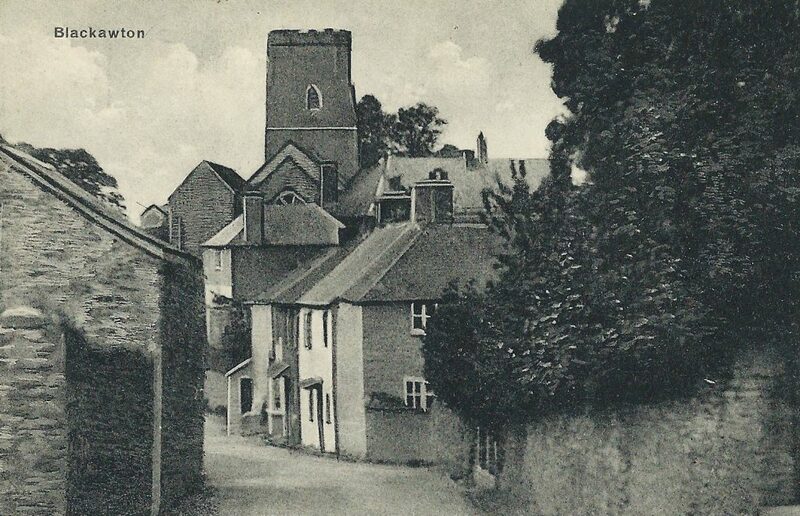 On 2nd March 1876 – a year after baby Charles passed away – another son was born and was christened Henry James, three weeks later at St Marys Church, Fort St George. Tragically Henry died on 19 December that year aged little more than 9 months old. On 27 January 1877 – a mere 39 days after losing her baby son Henry, Ellen’s husband William passed away. He was just 31 years old. According to the burial records of St Mary’s Burial Ground, Madras, the cause of death was ‘Pthisis Pulmonary’ (Consumption) now called Tuberculosis. The following year Ellen met John Gorman, an Irishman who was also a Gunner in the Royal Artillery. John was born in St Marys, Dublin, Ireland in about 1845 (so was the same age as Ellen and her late husband) and enlisted in the Royal Artillery in November 1863 aged 19. We know from his military records that John arrived at St Thomas Mount on 16 March 1877, around seven weeks after William Nicholls death. It’s clear that Ellen and John ‘knew each other’ within six months, and that when John was posted to Rangoon in Burma on New Years Eve 1877 that year Ellen and her children went with him. John’s military records and the marriage register show that Ellen and John were married on 21 Jan 1878 in the Garrison Church in Rangoon. Remarriage for army widows (and widowers) tended to occur rapidly following the death of a spouse. So, the fact that there was a 15-month gap for Ellen is remarkable for the length of time, not the brevity! The reasons for rapid remarriage were essentially practical. A man often needed another wife to be a mother to his children, and a woman needed a protector and provider for herself and her children (if any). It was sometimes the case that a widow would remarry to a fellow soldier in her late husband’s regiment, as was the case here. In Ellen and John’s case there was another factor involved – their first child was born in Rangoon on 19 June 1878 (so conceived around September 1877) and was named James. A second son, John, was born in Rangoon on 29 August 1880. The Gorman family do not appear in the 1881 Census of England and Wales (recording the people residing in every household on the night of 3 April 1881) because they were in Burma, but on 21 May that year Ellen and John and family (children Elizabeth (13), William (11), George Nicholls (9) plus James (3) and John Gorman(1)) were back in England, stationed in Woolwich in London. A few weeks later John was moved to the Barracks at Dover Castle in Kent. 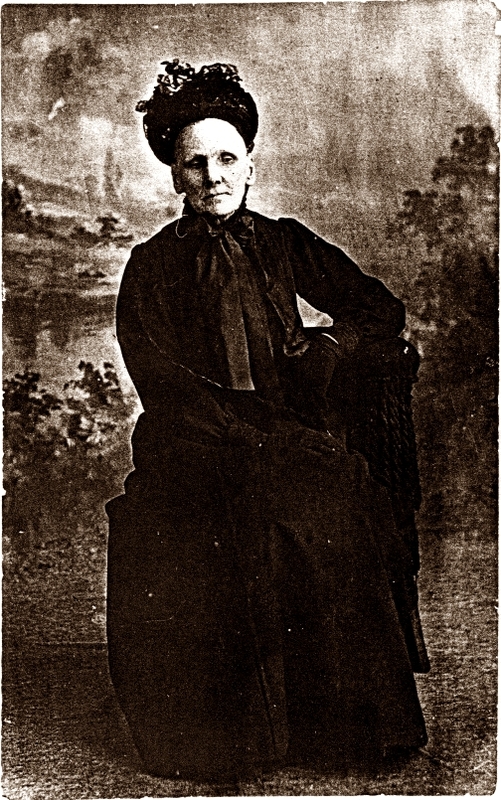 Whilst they were there, on 10 November 1883, Ellen gave birth to a third son, whom they called Patrick Henry. On 21st January 1884, Ellen’s son, William Nicholls Jnr, joined the regular Army at the age of 14 and was stationed at the Western Heights in Dover, as a member of the Royal Artillery, Cinque Ports Division. His military records tell us he was 4 feet 10 inches tall, weighed 80lbs (5st 10lbs/36kg), and had a chest measurement of 26 ½ inches. He was of a sallow complexion, with brown eyes and brown hair. On 29 October 1885 William was appointed Trumpeter and a month later was transferred to Crownhill Fort in Plymouth, one of ten Forts and Batteries built in the 1860s to defend Plymouth’s naval base from a French attack. After two years at Plymouth, on 13 Ocboter 1887, Will received his first posting abroad – to the Royal Artillery Barracks at Halifax in Nova Scotia, Canada. He was still only 17 years old. Two days before William set sail for duty in Canada, his brother, George, (two years younger than William), also joined the Royal Artillery. This was on 11 October 1887 and according to his military records George was 15½ years old, 5 ft ¾ inch tall, weighed 92lbs (6st 7lbs/42kg) and had a chest measurement of 28 ½ inches. He was of “sallow complexion”, with hazel eyes and brown hair. In his Attestation, George gave Ellen’s name as next of kin, and her address as 2 Adrian Street, Dover. George, like his brother, was appointed Trumpeter, and on 30 September 1890 – three years after joining – he embarked for service in India, arriving on the subcontinent a month later. Meanwhile, over in Nova Scotia, William contracted a bacterial infection in January 1888 which would eventually result in him being invalided home from Canada in June 1889, having been assessed as ‘severe unfit for the service’, due to what was described as ‘VD Heart’ – Vascular Disease of the Heart. This suggests a physical abnormality of the heart perhaps due to something like rheumatic fever in childhood. William was discharged from military service on 30 July 1889 having spent three weeks in the Herbert Military Hospital in Woolwich, London. It wasn’t until four years later that he was awarded a permanent army pension by the Royal Hospital, Chelsea of sixpence per day. In late 1889 William’s mother Ellen and stepfather John Gorman were living at 30 Clarendon Place in Dover when their son James died of Tuberculosis of the hip joint, called Morbus Coxae at the time. The death certificate states he had suffered with this condition for the previous four years, since the age of 7. To begin with James would have experienced a slight limping pain and a reluctance to put weight on that particular leg. As this took hold he would have been in more and more pain and would have developed lardaceous disease (where the skin degenerates to the point of looking like wax) and, in the last four days of his life, cellulitis of the leg – a spreading bacterial infection of the skin and tissues beneath the skin. James died on 29 December 1889, aged just 11 years old. By the time of the 1891 Census Will, then aged 21, was living in Dover as a Boarder at 8 Clarendon Place, and was listed as a scholar. His mother, step-father and two step-brothers: John (11) and Patrick (8) were living in Joss Street, Dartmouth in Devon (it is not known why they had back to Ellen’s home county). John Snr had been pensioned out of the Royal Artillery on 30 December 1884, and received a pension of 12 pence per day for life – he and Ellen were both aged about 45. On February 1st 1892 – three days before his 22nd birthday – William joined the 1st (Dover) Cinque Ports Volunteer Artillery. The Volunteer Movement was created out of a concern for home defence in the early 19th century. The Duke of Wellington was concerned about the country’s defences and in a letter of 1847, to Sir John Burgoyne, suggested a force be set up. There was some general opposition to the idea of a force of amateur soldiers, but on 12 May 1859 the War Office gave sanction to form a volunteer corps. The main concern for the volunteer artillery corps was to man the batteries of coastal towns. The 1st Admin. Brigade of Cinque Ports Artillery Volunteers was formed at Dover in 1862. This was made up of 9 Corps, formed around the towns of the Cinque Ports. The Volunteer movement eventually became the Army Reserves as it is today. 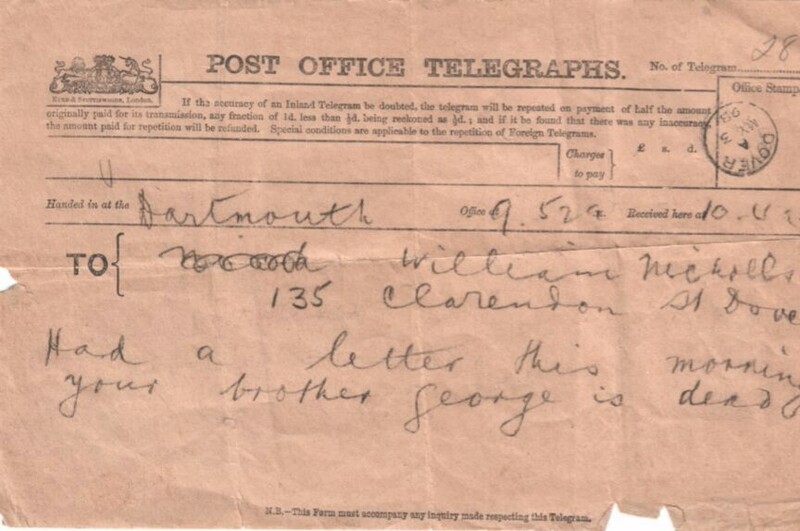 In May 1893 William was living at 135 Clarendon Street, Dover when he received a telegram sent from Dartmouth. It read simply: ‘Had a letter this morning your brother George is dead’. William’s brother, George, died in Allahabad, India on 14 January 1893 from Typhoid (‘Enteric Fever’), aged just 21 years. He had been in the Royal Artillery since his enlistment in October 1887 and at the time of his death had been serving in India for over two years. His Army Record book – issued to him on his enlistment and kept with him at all time – has survived, complete with original leather cover (on which he wrote his name), and provides some fascinating details about his short service. On Sunday, 30th October 1895 William married Susannah Kingsnorth at the Wesleyan Chapel in Faversham, Kent. 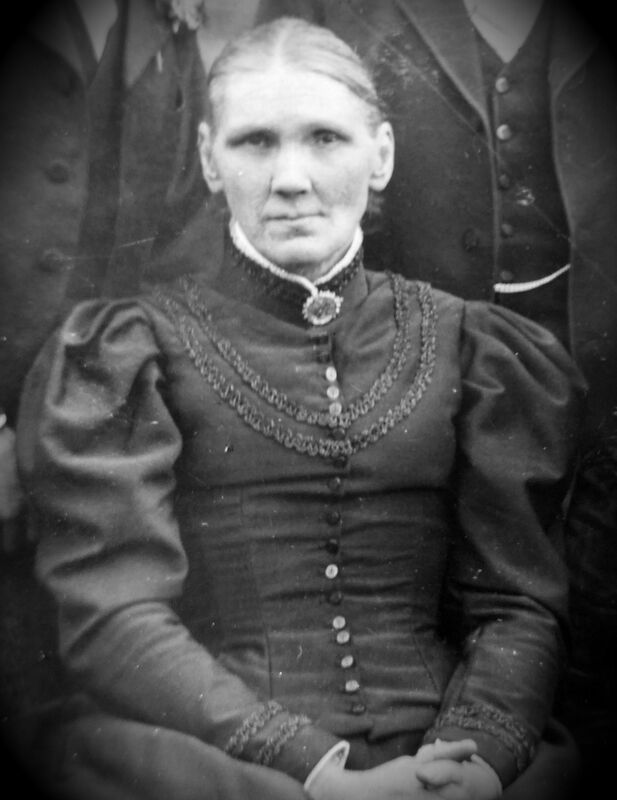 Susannah was born to Alfred and Mary Ann Kingsnorth (nee Alefounder) in 1872. The marriage certificate shows that at the time William was living at 11 Winchelsea Terrace, Dover and was employed as a labourer in the Ordnance Stores in Dover. 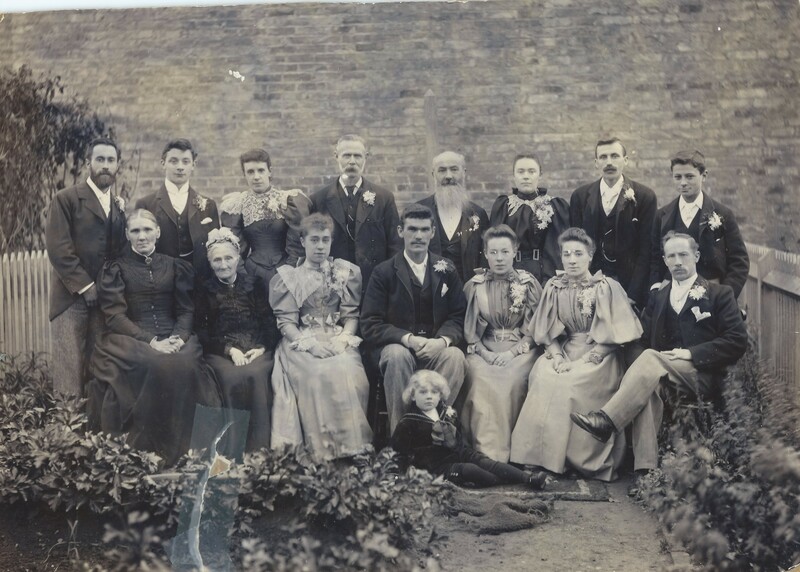 THE WEDDING OF WILLIAM NICHOLLS & SUSANNAH KINGSNORTH – 30 OCTOBER 1895 IN FAVERSHAM, KENT. ELLEN IS SEATED FAR LEFT, JOHN GORMAN IS STOOD, FOUR FROM THE LEFT. WILLIAM IS SEATED FRONT ROW, CENTRE WITH HIS BRIDE SUSANNAH TO HIS LEFT. In 1897 William and Susannah had their first child – a daughter whom they named Elizabeth. Just over 2 years later â€“ in February 1900, a second daughter, Bertha Helen, was born. By the time of the 1901 Census Ellen and John, and their sons were all living at 17 Winchelsea Terrace in Dover. John’s occupation was recorded as a ‘Harbour Contractor’s Diver’s Attendant’. Working in Dover Harbour, it was William’s job as attendant to look after the diver he was engaged by, to assist him with the putting on of his elaborate equipment, watch him go down below the surface of the water in the diving bell, and then to stand by in readiness to deal with any signal made to him by the man who had vanished from his sight. Sometimes the diver made his descent from an anchored vessel, generally a ketch known as a ‘diver’s boat’, and sometimes from the edge of a pier, or other structure overlooking the spot where work was being taken in hand. Also in the 1901 Census were Ellen’s son William and his wife Susannah (aged 31 and 29) and their two daughters, residing at 26 Vale View Road in Dover. Like his step-father, William’s occupation was a ‘Harbour Contractors Diver’s Attendant’. On 9th June 1905, William retired from the 1st (Dover) Cinque Ports Volunteer Artillery, having reached the rank of Company Sergeant Major. He had served 23 years with them. Six years later, the 1911 Census records William (41), Susannah (39), and their six children: Elizabeth (13), Bertha (11), Dorothy (my grandmother, aged 9), Kathleen (8), Alice (7) and William Alfred Patrick (1). They were still at 26 Vale View Road. Two months after the Census was taken the youngest child in the family, Alfred (known as ‘Alfie’) was born. The 1911 Census also shows Ellen and John, now both in their 70s, still at 24 Winchelsea Terrace, with their son Patrick still living at home. And on 1st May 1916 William and Susannah’s youngest son, Alfie Nicholls (Ellen’s grandson) died from Tubercular Meningitis. He was just four years old and had been sufferering for about a month. In the spring of 1917, Ellen’s son John Gorman contracted pneumonia and eventually died on 25 March 1917. He was only 36 years old. Her husband John died in 1922, aged 77. Only two photos of Ellen are known to exist. One from the wedding of her son William in 1895, and this one. The date is unknown, and this is a photocopy of an original photo (the whereabouts of that original is also unknown). But she is in apparent old age, and seems to be dressed in mourning. From rural Devon, Ellen Pyne went on to lead a remarkable life, demonstrating an indomitable strength of character and perseverance to push on through life despite the ‘slings and arrows’ that it threw at her.